Enterprise Ethereum Alliance (EEA) is now the world’s largest open-source blockchain alliance. The EEA connects the global financial organizations and manufacturers such as JP Morgan, MasterCard and Toyota with compelling ethereum experts such as ConsenSys and HashCash, to build enterprise-grade smart contract applications capable of handling complex, highly demanding business processes at lightning speed. Ethereum is the future of complex financial contracts. Goal is to help the Banking Working group identify a clear roadmap for banking applications, form a robust governance model and bring clarity around IP and licensing models for Open Source Technology. 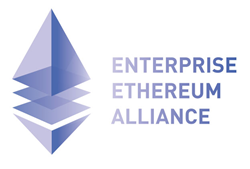 The Enterprise Ethereum Alliance (EEA) is officially the largest open-source blockchain alliance on the planet. It's obvious that more of the largest corporations and biggest names are getting behind Ethereum, something that has never happened before for a blockchain platform or cryptocurrency. This is largely fueled by the platform’s proven ability to execute smart contracts, its large open source community of developers and the gaining popularity of ICOs (initial coin offerings) using Ethereum. Ethereum is a network similar to bitcoin. While bitcoin is meant for payments, Ethereum focuses on smart contracts. It uses a distributed ledger that acts as a single version of the truth, with copies held by multiple parties, rather than each party holding its own ledger. This makes recon or the process of comparing accounts among parties, redundant. Launched in February this year, the Ethereum Enterprise Alliance, is an initiative to standardize a business version of Ethereum. The progress made by the EEA community so far had been remarkable. In the all-member meeting held on July 25, the alliance had already formed the working groups and necessary committees. Working groups for Banking, Healthcare, Insurance, Legal, Supply Chain and Token were among the notable ones. “Ethereum is the future of complex financial contracts. Our goal is to help the Banking Working group identify a clear roadmap for banking applications, form a robust governance model and bring clarity around IP and licensing models for Open Source Technology”, said Raj Chowdhury, Managing Director at HashCash Consultants. HashCash builds a myriad of products on Ethereum blockchain that include Trade Finance, derivative, swaps, insurance products as well as IoT based smart city solutions. HashCash is working with the alliance to form the Privacy and Access Control working groups, essential to build applications for regulated industries such as banking where privacy and access to information are of paramount importance. About HashCash Consultants: HashCash Consultants is a Blockchain company registered in USA and India as HashCash Consultants, LLC and BlockBase Consultants Pvt. Ltd respectively. HashCash builds banking products that integrate with blockchain platforms such as Stellar, Ethereum, Corda and Hyperledger Fabric. It partners with banks globally to integrate their core banking systems to blockchain products and platforms. HashCash’s product portfolio includes, HC Commerce, HC Remit, HC Pay and HC Trade Finance.